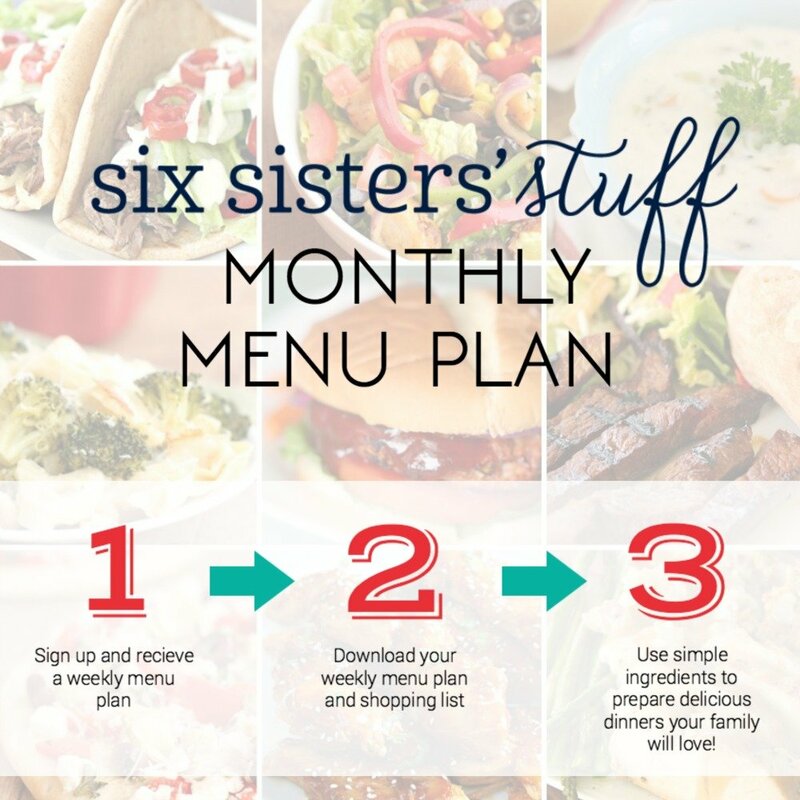 Join the Six Sisters’ Menu Plan and receive a weekly menu plan and detailed shopping list sent straight to your inbox every week! If you’re looking for MORE healthy recipes, you’ll love our new eCookbook! Inside, you’ll find over 100 recipes that will help you on your path to living a healthier lifestyle. No preservatives, no deep-frying, and no drive-thru, just quick and easy recipes you and your family will love. These all recipes sounds delish!which is always a huge hit! I think my peeps will enjoy some of this some recipe! Thanks so much!